Hana4 – pronounced as “Hanayo” – takes manicure to next level with her miniature masterpieces. This Instagram and nail-fashion sensation has been picked up by “Jounetsu Tairiku” (TBS/MBS) for the episode screened on 18th September. If you are looking for your next mani inspiration or just want to be awed by a selection of tiny cats, colorful marbles or mosaiques, take a scroll through Hana4’s Instagram account. Hana4 works both in Japan and abroad for fashion photo shoots, giving seminars and workshops on nail art and simply “doing” nails. Originally a fashion magazine assistant editor, she always had a thing for miniature paintings. When she was younger, she even tried rice grain painting (google it out, it’s not as niche as it seems!). 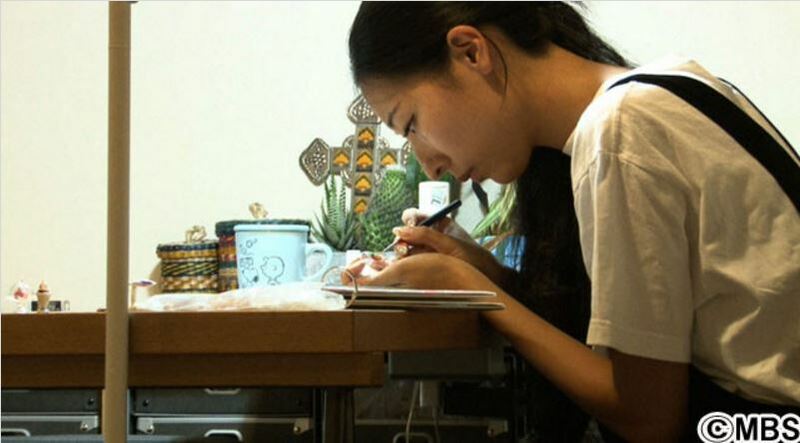 Her current biggest dream is to held a chain of museum exhibitions about nail art – in Japan and overseas. She’s aiming to combine as much of Japanese traditional art and aesthetics into her designs as possible. In this task, she reached out to Takashi Wakamiya, traditional urushi (lacquer) artist for guidance. It will be exciting to see where this collaboration leads to. ARAMA selection: Henri Mattise-inspired modern nails and something to match your kimono. Follow Hana4’s Instagram and visit her homepage hana4art.com for more photos.